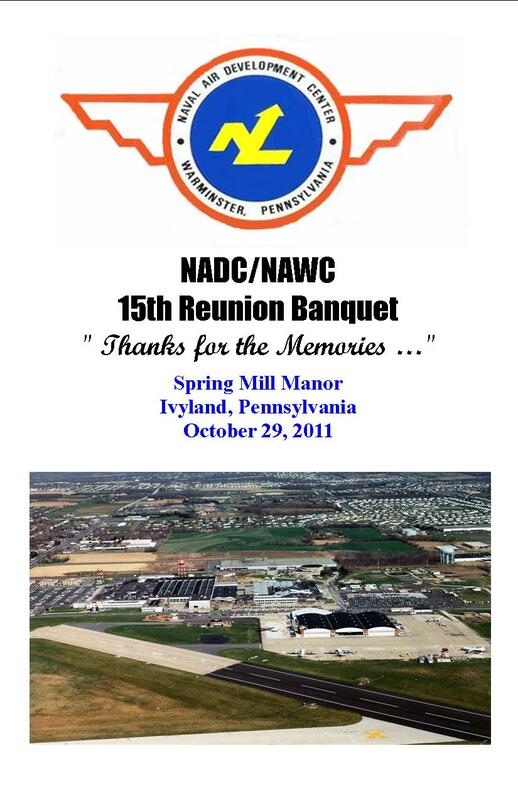 Thanks to all those attending the reunion banquet celebrating the 15th year since the closing of NADC/NAWC was a resounding success. Unfortunately we had a freak late October snow storm the day of the reunion that dumped up to eight inches of heavy snow in the region and resulted in numerous power outages. We sold approximately 470 tickets and estimate about 400 made it to the reunion. For those of us that got there we had a great time. Thanks to those who took pictures and sent them in. Here they are, enjoy!